– Our study shows that Caribbean hummingbirds living in rainy mountainous landscapes with cooler temperatures are more specialized and vulnerable to extinction of the flowers they drink nectar from, compared to hummingbirds in the lowlands. – … we believe our results display a general trend that applies to many other animals and plants throughout the world. Thus, protecting nature in mountain regions is very important, if we want to conserve specialized and vulnerable species, which exist in just one or a few places on earth. In general, birds on islands are more vulnerable to extinction – during the past 400 years 90% of known bird extinctions have happened on islands. 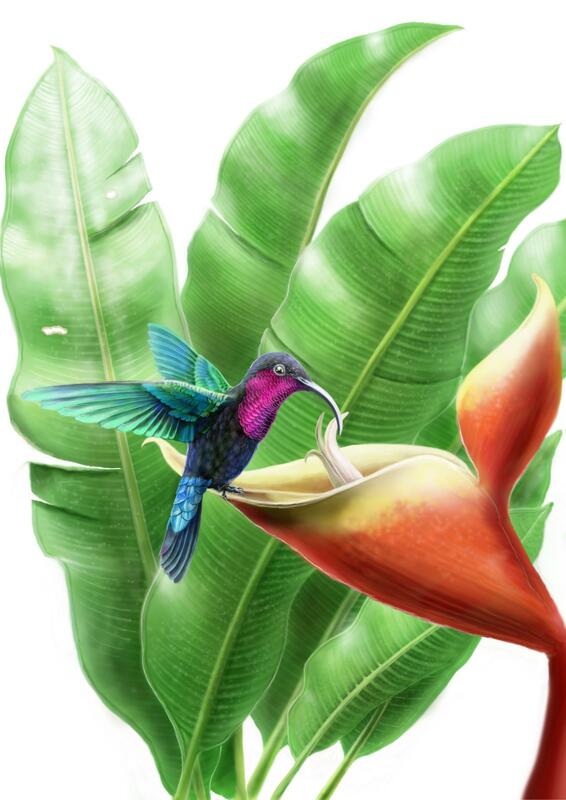 – We found that Caribbean hummingbirds have likely evolved their physical traits before colonising the Caribbean, and not in co-existence with their flowers, which is the common trend often assumed on the American mainland. How these relationships develop over long timescales are important in order to better understand how vulnerable the birds are if the flowers they feed on become extinct. – Our results can help predict the extinction risk of species, which are mutually dependent on each other, like hummingbirds and their flowers. This has become especially important as climate change and human activity disrupt these delicate partnerships, and cause extinctions of not just birds and plants, but many other species throughout the world, Associate Professor Bo Dalsgaard concludes.